NEW DELHI: Prime Minister Narendra Modi on Saturday tore into the Opposition, saying his government’s relentless crackdown on corruption has forced squabbling rivals to swallow their pride and join hands to fight the BJP. Mocking the ‘grand alliance’ the Opposition parties are trying to form to keep the saffron party out of power, Modi said it is a “failed experiment in Indian politics”. Trying to project an incorruptible image, he claimed not a single allegation of corruption could be made against the NDA government unlike earlier Congress-led governments at the Centre. 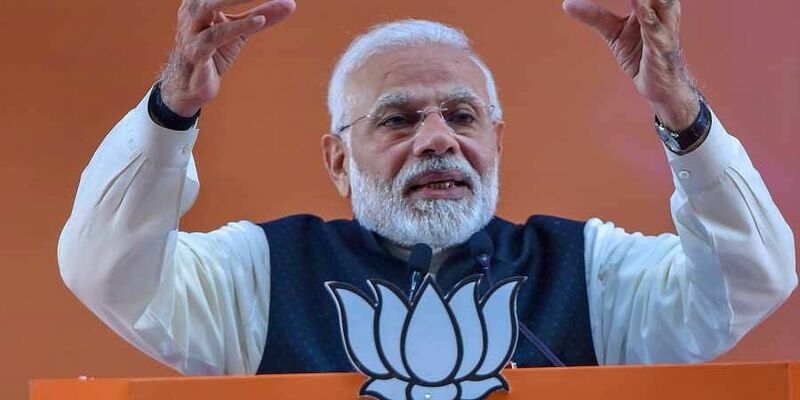 Meanwhile, in a bid to tap the aspirations of millennial voters, Modi announced that additional 10 per cent seats would be created in educational institutions to meet the new quota requirements. Modi said the 10 per cent reservation in government jobs and education for the poor in the general category would boost the “self-confidence of new India”. This, he added, is to ensure that the increased quota does not eat into the share of those from the unreserved category. Modi accused the opposition parties of trying to foment discontent and create confusion in the minds of people by spreading misinformation that the new quota will harm the SCs, STs and OBCs. He asserted that the existing quota policy for the socially backward will remain intact. Talking to partymen at the second day of the BJP National Convention here, Modi said his government’s mantra is equal opportunity for all. Listing out 124th Constitutional amendment bill, the PM argued that the measure would address aspirations of the youth of general category who were not getting opportunities due to poverty. The bill seeking to provide reservation for the economically-backward section was passed by Parliament on January 9. On Saturday, President Ram Nath Kovind gave his nod to the constitutional provision to make it possible. Addressing his detractors who accuse him of belittling Constitutional institutions, Modi cited the decisions of the Andhra, West Bengal, and Chhattisgarh governments to withdraw consent to the CBI for probe, saying he hadn’t done so despite facing harassment by the investigating agencies at the behest of the Congress-led UPA when he was the Gujarat chief minister. “I was grilled for nine hours in a day. One UPA minister, during his Gujarat visit, claimed that I would be spending the rest of my life in jail. Yet, we didn’t restrict the CBI,” said Modi.